Emirates One & Only Wolgan Valley is Australia’s most environmentally responsible luxury resort, achieving carbon neutral certification. Set amongst the rugged Greater Blue Mountains on 4000 acres of private conservation & nature reserve you’re in sophisticated seclusion. Relax and do as much or as little as you desire with activities such as interactive tours, nature walks, wildlife spotting & horse riding or simply be pampered in the Day Spa. Emirates One & Only Wolgan Valley Resort & Spa offers the rare opportunity to experience true luxury in a spectacular Australian bush setting. The resort borders the Greater Blue Mountains World Heritage wilderness region, nestled between two National Parks and spread out at the foot of towering cliffs. The resort itself occupies just two percent of the total land area of 4,000 acres and features 40 individual suites each with its own private indoor/outdoor swimming pool, and a main homestead with sweeping views of the valley. The seclusion of Wolgan Valley creates a natural sanctuary where guests can relax and explore in unsurpassed luxurious comfort. This is the quintessential luxury Australian bush experience - a unique blend of wildlife, dramatic natural beauty, conservation, heritage and a spectacular Australian bush setting, which can be explored through a range of nature based activities including four wheel drives, heritage tours, wildlife spotting and horse riding. All meals are included in the tariff with a strong focus on regional and seasonal produce. Also included are all non alcoholic beverages, a range of selected local wines and beer with lunch and dinner and two nature based activities per person per day. Please be advised that due to the remoteness of Wolgan Valley there is no mobile reception at the resort and the conservation reserve, however complimentary wifi and high speed internet access is readily available. Guests are also able to forward their mobile numbers to their suite prior to arrival at the resort. Where is Wolgan Valley? Emirates One & Only Wolgan Valley is remarkably accessible, yet feels a world away. This exceptional resort is located in the Greater Blue Mountains World Heritage area and can be reached in less than three hours by car (190km), or just 45 minutes by helicopter from Sydney. The closest township is Lithgow, 35 kilometres to the South. Guests private vehicles are not permitted on the resort premises; a secured car parking area at the main entrance gate will be available for guests. Guests will be driven to the resort by a dedicated resort staff member. Transfer from the security gate is via luxury four wheel drive to the Main Homestead. In case of delays, please inform the hotel in advance so we can arrange your pick-up from the main entrance gate. Children Stay and Eat Free! Accommodation in a Heritage King Suite with sofa bed. This package is suitable for maximum 2 adults and 2 children. King Heritage Suites are ideal for single guests or couples. A private pool features its own deck surrounded by gardens and a spacious verandah adjoins it. Inside, a central, double-sided fireplace of local sandstone separates the bedroom from the lounge. Rate includes Gourmet breakfast, lunch and dinner daily, non-alcoholic beverages, a selected range of local wines and beer with meals and two on-site nature based activities per person per day. King Heritage Suites are ideal for single guests or couples. A private pool features its own deck surrounded by gardens and a spacious verandah adjoins it. 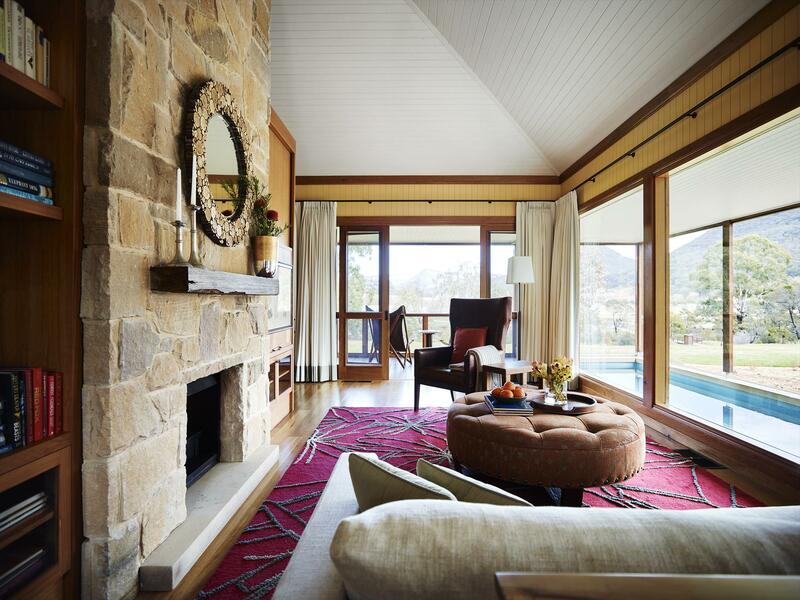 Inside, a central, double-sided fireplace of local sandstone separates the bedroom from the lounge. 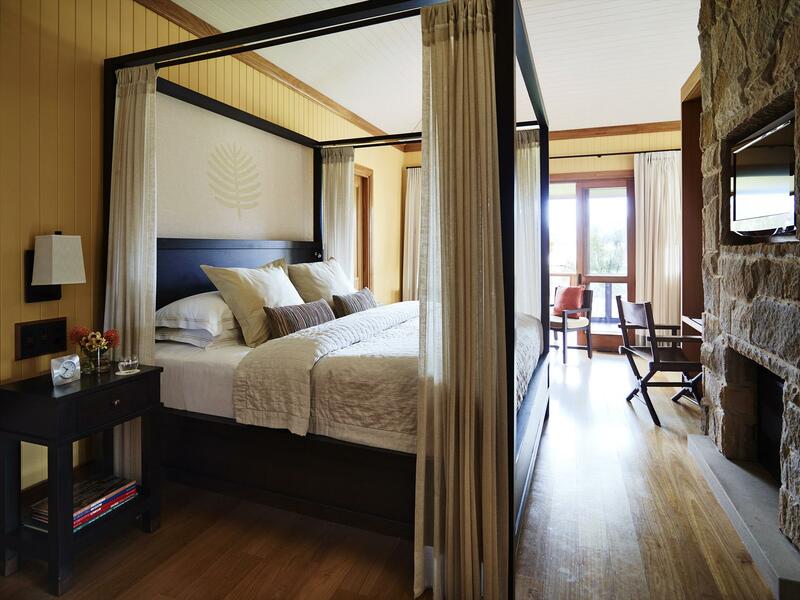 Rate includes Gourmet breakfast, lunch and dinner daily, non-alcoholic beverages, a selected range of local wines and beer with meals and two on-site nature based activities per person per day. Mountain Discovery offer includes a take away picnic during the stay.